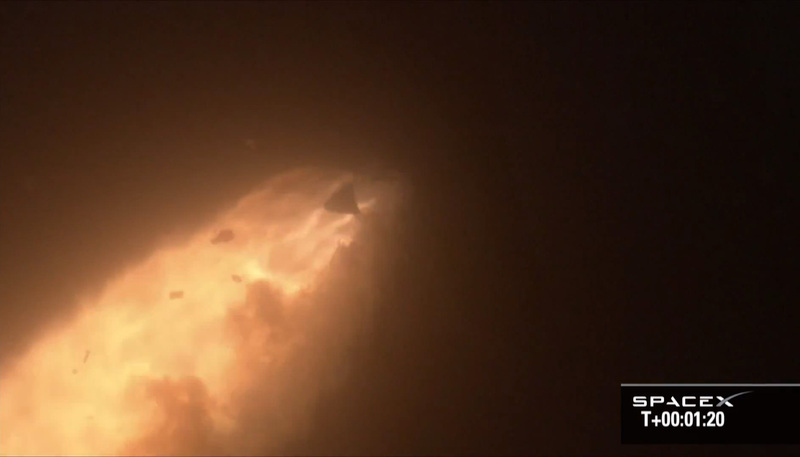 SpaceX’s first cargo delivery to the International Space Station (ISS) in October was troubled by several anomalies, including the failure of one of the nine Falcon 9 engines. Mike Suffredini, NASA’s space station program manager, released some comments during the NASA Advisory Council’s Human Exploration and Operations Committee of November 14 and 15. While berthed to the ISS, one of Dragon’s three flight computers failed, possibly following a radiation hit. According to Suffredini, the flight computers of Dragon are not radiation hardened, but the spacecraft is designed to operate with two computers, so SpaceX decided proceed with the two remaining units, without fixing the third one. Radiation may have also been the cause for anomalies on one of three GPS units, the Propulsion and Trunk computers and Ethernet switch. All units recovered after been reset. According to Suffredini, SpaceX did not use radiation-hardened parts because of cost and performance, but he also noted that the company may consider using rad-hardened components in the future. The next SpaceX mission to ISS is scheduled for March 2013, followed in April by the first flight of Orbital Science’s Cygnus cargo spacecraft. This is a highly speculative (non scientific) statement. There can be a thousand of other causes for these anomalies. I think it’s a bad idea to do, or copy, these highly speculative statements. Much better to say that at this pint you just don’t know and refrain from speculations as they make no sense at all and can be the start of false rumors. Thanks for your comments, Karel. My view is that when someone as high profile and in-the-know as Suffredini makes such comments, they are more then speculation. Suffredini has worked very closely with SpaceX throughout their COTS development.